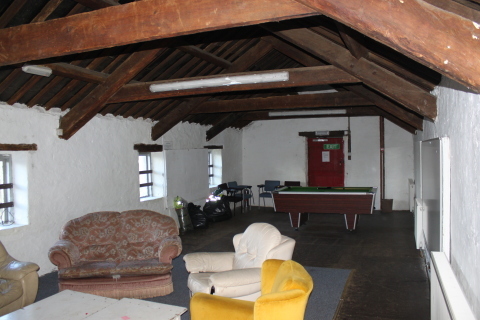 The Venture Centre bunkhouse is situated in converted farm buildings in the north of the Isle of Man. 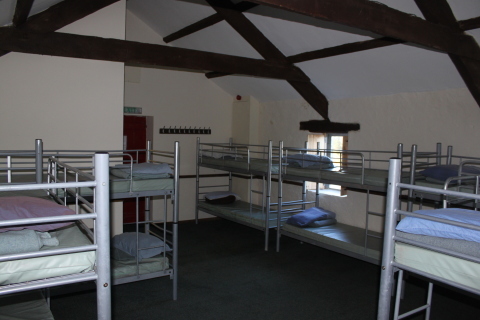 We offer bunkhouse accomodation for upto 120people across two adjacent sites, in rolling countryside 10minutes walking distance from the beach. The nearest town to the Venture Centre is Ramsey and this can be reached by bus (bus stop 10minute walk away), walking (approximately 25minute walk), or vintage tram (only 1 minute walk away). 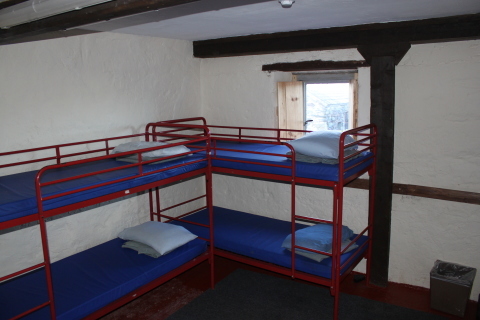 Bunkhouse in converted farm buildings with a view overlooking farmland with a view in the distance to the sea. 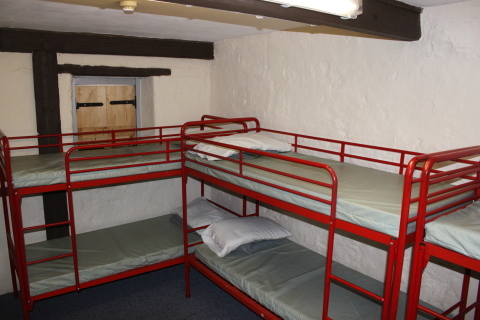 2 sites situated either side of a quiet country lane, each with accomodation for 60 people, 120 people total. Each site contains kitchen, dining area and lounge. 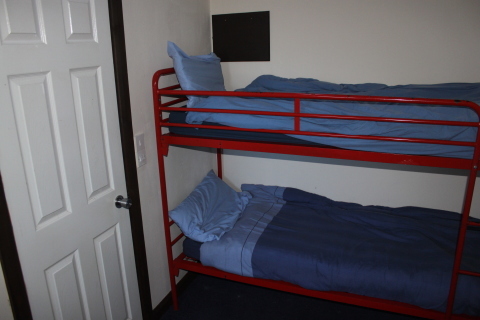 En suite bunkrooms ranging from 2beds to 12beds. Large outside area on each site with picnic tables and parking. 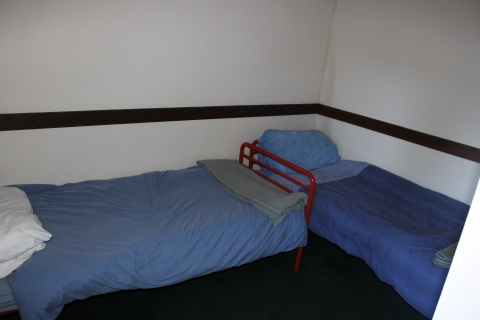 Pillow and pillow cases are provided, we can provide a sleeping bag or bedding for £5per person per stay. 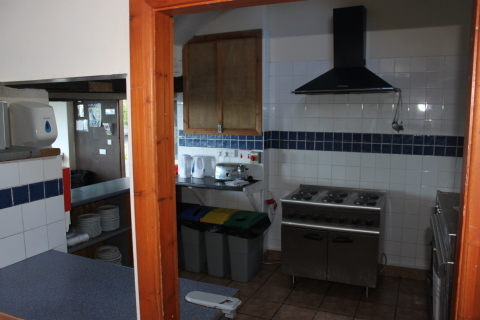 Cooked meals can be purchased from the Venture Centre by prior arrangement. Suitable for Scouts, guides, youth groups, sports clubs, families and individuals. *Special rates can be arranged for large groups and sole booking of sites can be arranged. 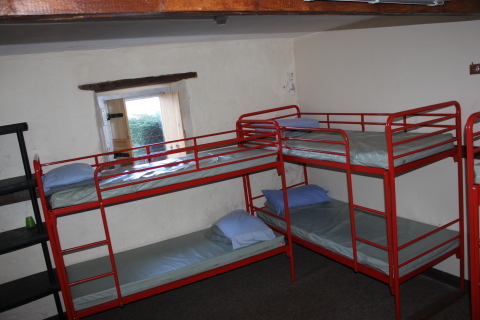 Large groups can benefit from combining accomodation with adventure activities on offer. Contact us for details. Check in from Midday and departing by 10.00am on the last day of visit. For more information please phone us on 01624 814240 or submit an enquiry online Here. 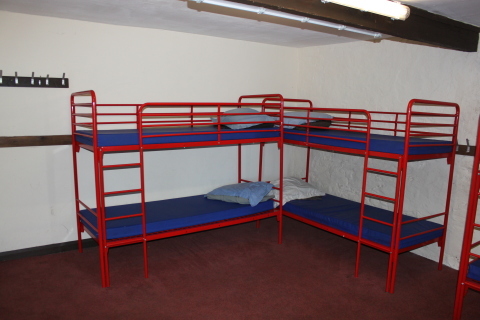 The Venture Centre bunkhouse is situated adjacent to the Venture Centre activity centre where you may arrange sessions of kayaking, abseiling, assault course, air rifle shooting, archery, gorge walking, dinghy sailing, power boating and team challenge events. Grid ref 469 922. Approx 45 minutes drive from the airport and 30 minutes from the ferry.